To improve the quality of life of youth, especially girls, in the Mara region by supporting primary and secondary school improvements and other community-identified priorities. We partner with indigenous organizations in Mara, and other supporting organizations, to achieve our objectives. 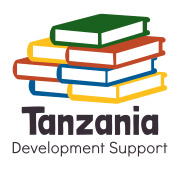 Tanzania Development Support is an Illinois-based 501(c)3 nonprofit organization that partners with community organizations in the Mara Region of northwest Tanzania to invest in educational improvements in that region. We just celebrated our tenth year as an organization and are seeking volunteers to help expand our fundraising capacity and data systems. Would you recommend TANZANIA DEVELOPMENT SUPPORT NFP?